COVENTRY Sphinx were left frustrated after being held to a 0-0 stalemate against relegation-battlers South Normanton Athletic in MFL Premier Division on Saturday. The visitors were perhaps the more deserving side of the win, having adjusted better to the difficult playing conditions, in a result that keeps Sphinx seventh in the table. Sphinx were without defender Liam Kay and striker Ryan Harkin, but were able to welcome back Rich Blythe from injury and Lewis Hudson from his recent suspension. Youth team midfielder Callum Maspers made his first start for the first-team, in an otherwise unchanged starting XI from the draw with Sporting Khalsa. The visitors were the side most likely to make the breakthrough in the strong winds, although Sphinx stayed firm at the back in an uneventful first-half. Proceedings heated up a little when Sphinx defender Louis Guest ended up on the ground along with a South Normanton player after battling for the ball – with a melee ensuing. Another visiting player joined the bout and punched Guest in the back of the head whilst he was still on the floor, and after consultation from both assistants, the opposition player was eventually sent off. With the majority of the game still to play, both sides battled out for a lacklustre draw, with very few chances of note being created – despite the man advantage for Sphinx. Elsewhere, the club’s under-13’s and under-14’s had more success at the weekend as they both won the Bedworth Nursing Cup Final in their respective age groups, whilst promoting an important anti-knife crime message. 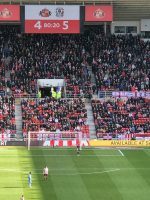 Following in the footsteps of Micky Bell’s under-13’s, who beat Coventry Copsewood 3-1 earlier in the day, the under-14’s went one better, beating Copsewood under-14’s 4-1 in their final. Merdi Mukaba opened the scoring after just four minutes on the clock to put Sphinx on the front-foot, a lead they would add to through Ashton De Mulder’s free-kick that was slammed beyond the wall and out of the keeper’s reach into the net. With the pressure being maintained by Coventry, a third arrived through Noel Angafor, who thumped his header into the top corner of the net for a 3-0 lead at the break. 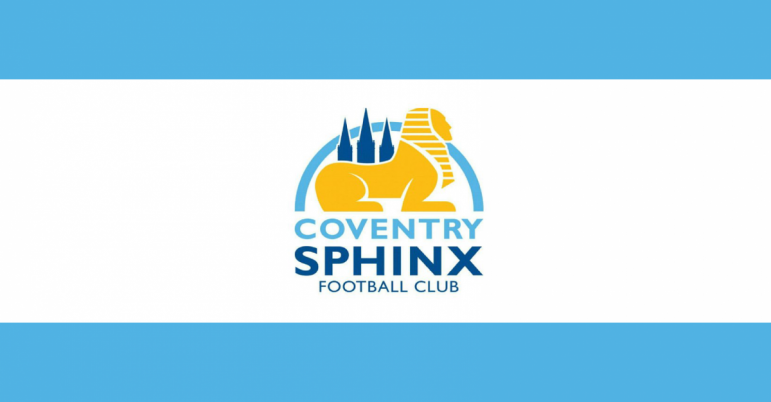 Sphinx extended their lead a minute into the second-half, when Temi Oke deftly chipped the ball over the keeper to give Coventry an unassailable lead. Copsewood to their credit did respond with a late penalty, but Sphinx ran out deserving winners. Kev De Mulder and Luke Hopkins were delighted with the efforts of their young side, and were left even more proud as they supported and helped raise awareness for the Daniel Kennell Foundation. Wearing t-shirts promoting the charity, the Foundation was set up after the death of Daniel Kennell in a knife attack, and aims to prevent knife crime in the local area, offering support to families in Coventry who have been affected. Meanwhile, the club are preparing to host Miles for Money on Saturday March 30, a new charity walk at Sphinx Drive to help raise money for Breast Cancer Care. A 0.5 mile route is to be marked out around the site, where participants can walk, jog or run as many times as they wish around the course, with sponsorships for runners welcomed. The club urge participants to join in supporting the first team in their fixture against Stourport Swifts at 3pm following the event, where free entry, refreshments and afternoon tea are to be provided. For more information regarding the Miles for Money event, please contact sharon@coventrysphinx.co.uk.